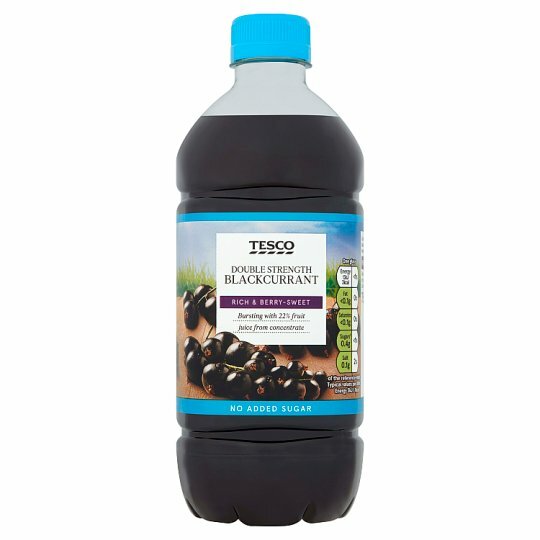 Concentrated no added sugar blackcurrant juice drink with sweeteners. Dilute to taste. RICH & BERRY SWEET Bursting with 22% fruit juice from concentrate. Our drinks experts have been creating high juice, squash, and juice drinks in Yorkshire for more than 25 years. We carefully evolve our recipes over time, using real fruit and absolutely no artificial flavours or colours. INGREDIENTS: Water, Blackcurrant Juice from Concentrate (22%), Citric Acid, Acidity Regulator (Sodium Citrate), Colour (Anthocyanins), Flavourings, Sweeteners (Sucralose, Acesulfame K), Preservatives (Potassium Sorbate, Sodium Metabisulphite), Malic Acid, Antioxidant (Ascorbic Acid). Shake well and dilute to taste (one part squash to nine parts water).Dilute with extra water for toddlers.